Thank you to all the hackers who attended today’s hack, what a great turnout! The plot next to the entrance of Pringle Bay has been a headache for a long time. It has been a challenge to trace the owner/consortium responsible for the plot, but we’ve finally managed to do so and today, 29 July 2018, we made a start on the hacking on smallholding 559/61. This plot is seriously invested with Eucalyptus, Spider Gum, Rooikrantz, Port Jackson, Australian Myrtle and Pine trees. 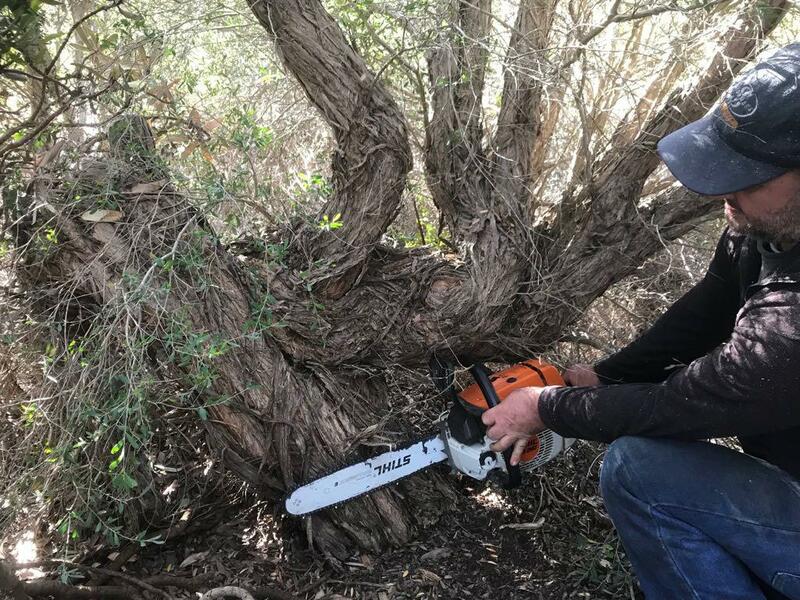 While today was only a start, and we will be busy there for some time to come, everyone regarded this as a positive project in achieving the aim of the Pringle Bay Hack Group – namely to rid this area of exotic invaders! 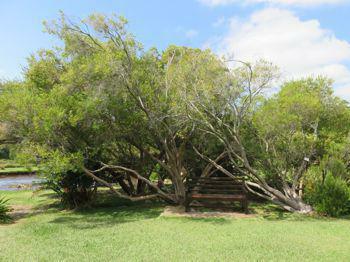 But it is not only bad news – the Metrosideros angustifolia (Cape Gum) is flourishing on this plot next to the stream. What a good surprise! As always, thank you, guys – the spirit of today’s work was wonderful and the energy of the team was impressive! The Australian Myrtle ready for next time! 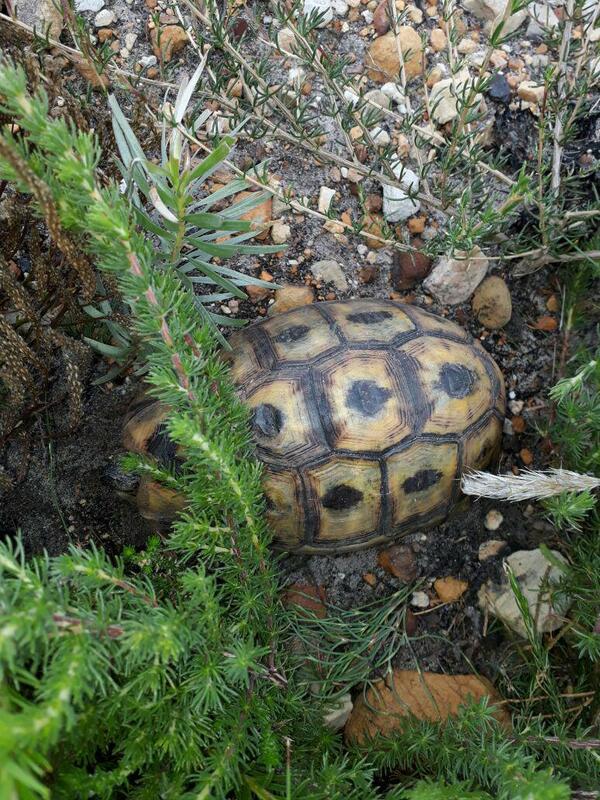 Thanks to Louw and Keith for the name of the mystery tortoise that we were looking for is the angulate tortoise (Chersina angulata) which is a species found in dry areas and coastal scrub vegetation. All have participated energetically and enthusiastically! You are most welcome to the Pringle Bay Hack and we hope to see you every time that you are available. 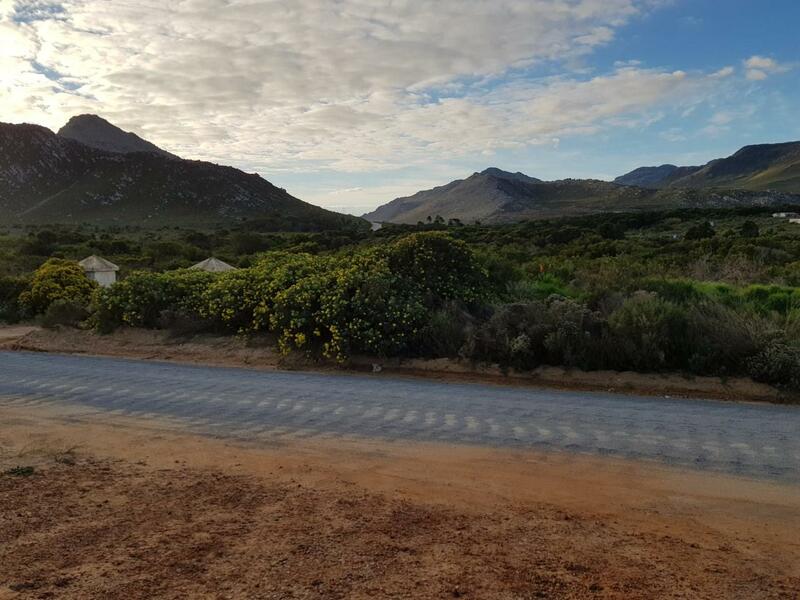 A special word of thanks for the contribution and support provided by Jan, Tom, Ulli, Jack and Bernard of the Betty’s Bay Hack to the Pringle Bay Hack. Their efforts and encouragement are, as always, greatly appreciated. The next monthly hack will be on Sunday 26 August 2018. As usual we will meet on the pavement opposite Drosters Centre, in Central Avenue, Pringle Bay, at 08:30 whereafter we will proceed to the hack site. The hack ends at 11:30. 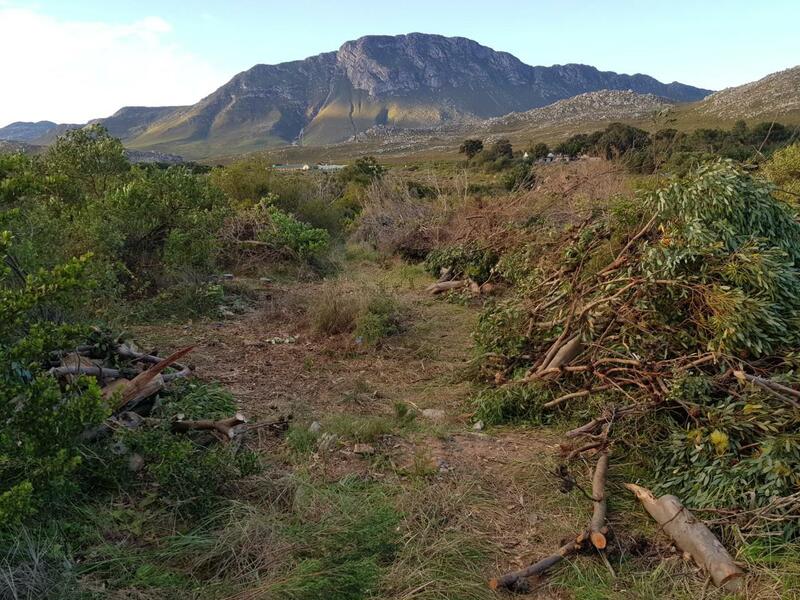 Everyone who would like to help rid Pringle Bay of alien vegetation is welcome. Hacking tools are provided. Contact Chris on (028) 273 8588, or just turn up at the meeting point. 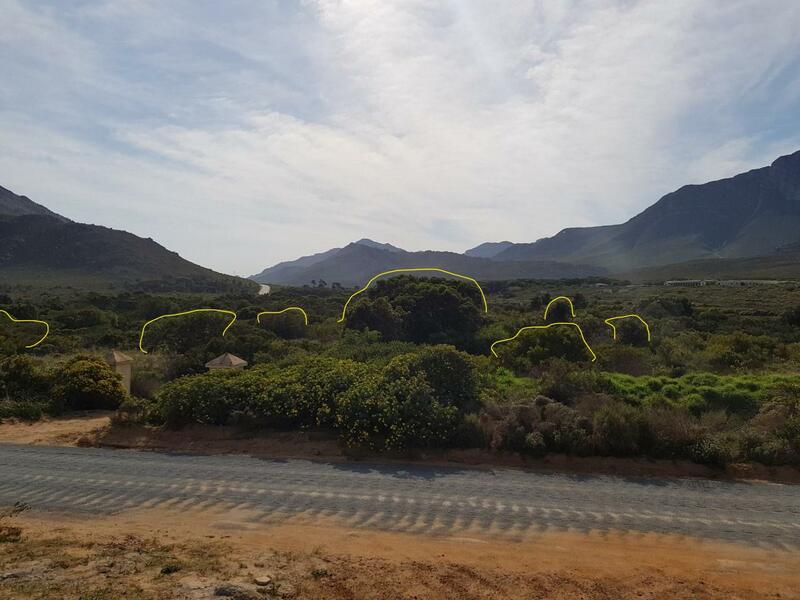 Work continued on the slopes of the Klein Hangklip Mountains between Pringle Bay and Rooi Els. During the month, 52 man-hack days were thrown at the enemy. Hackers were: Tom Dreyer, Frik Potgieter, Jan Joubert, Bernard van Wulven, Ulli Niemann, Selwyn Botha, Louw Toerien, Chris Geldenhuys, Jane Fearnhead, Mike Robinson, Willem Stiglingh, Chris Cadman, Nils Rottcher, Giel Maree, Barbara Silcock and Gaenor Lees-Rolfe.